We have the brand new 2018 models of these stunning telescopes now complete with William Optics patented bahtinov mask cover! 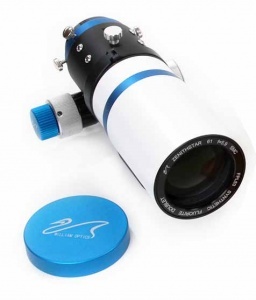 The newborn Zenithstar 61 is the most versatile and portable scope ever made by William Optics. 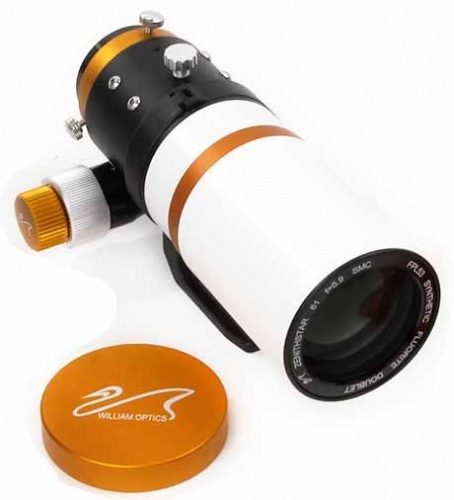 It provides and excellent sharp image with any DSLR for astrophotography or wildlife photography. 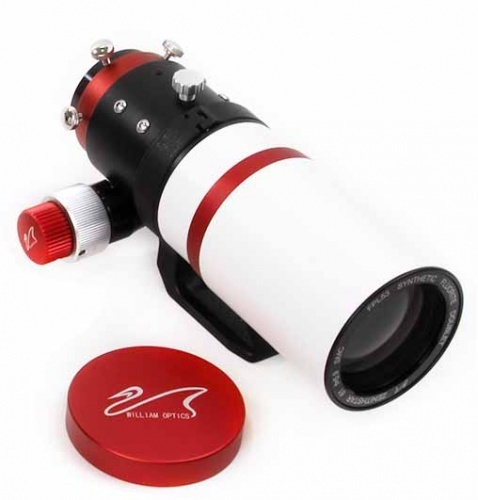 These telescopes can be used for high power visual work, as well as lunar and solar photography thanks to the dedicated Flattener 61. It is truly a great instrument! 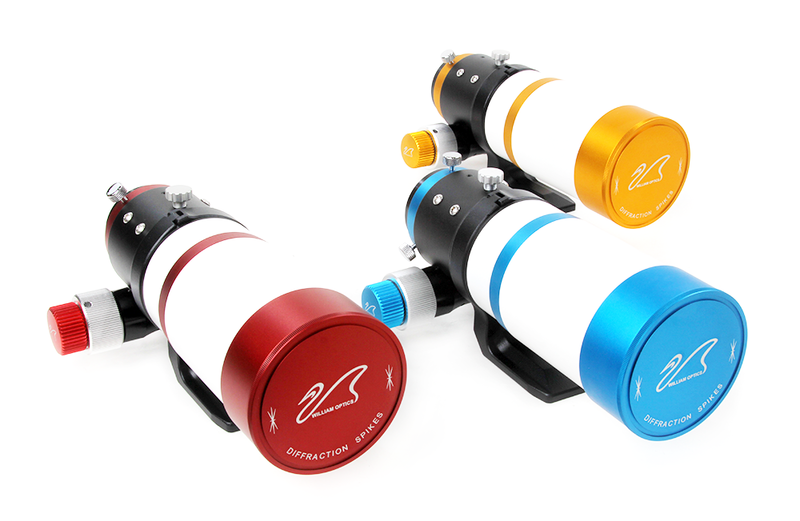 The FPL53 has a significant advantage rather than the older FPL51 (ED). 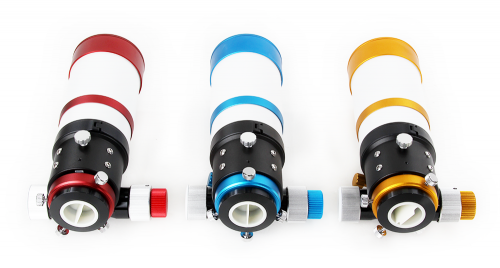 The dispersion properties of the ED and SD glass used in the objective lens are important in determining the overall colour correction. The abbe index is the number used to quantify the "partial dispersion" of a particular glass. The material with the highest partial dispersion is Fluorite at about 95 V and the FPL53 is very very close to pure Fluorite. FPL53 is the top noth glass material that allows our designer to achieve the best correction possible.